Life hacks are cool tips and tricks that can help you save time, save money, increase productivity or simplify your life. When it comes to life hacks for landscaping, yard care and outdoor living, these handy tips can also help you avoid chemicals, use stuff you already have on hand and be a better outdoor party host. If using fewer chemicals, spending less time and money taking care of your yard, and making outdoor entertaining easier and cheaper all sound pretty good, read on to learn 35 life hacks specifically tailored to simplify your life and cut costs related to the care and comfortable use of your outdoor living spaces. 1. 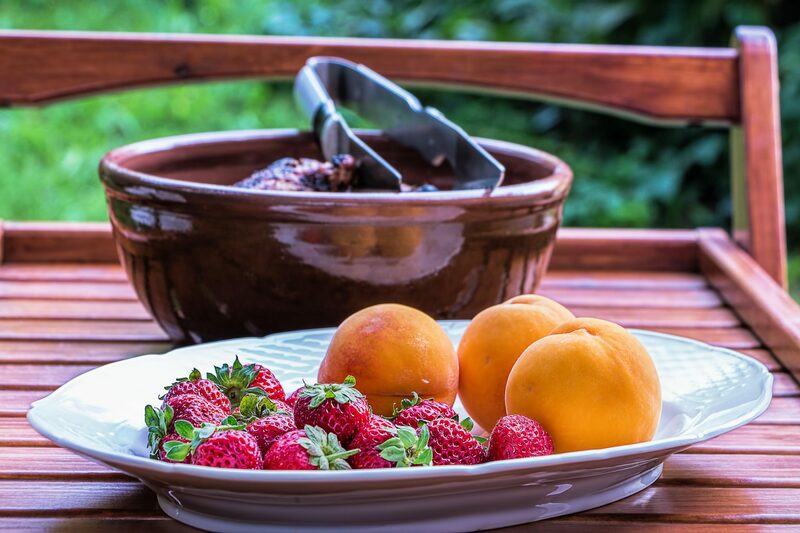 To get rid of rust on patio furniture or barbecue tools, try cutting a cucumber or raw potato in half and scrubbing the areas of metal in need of cleaning. The oxalic acid in these foods is great for removing rust. If you need a bit more oomph, dip the end of the potato or cucumber in baking soda for a more abrasive cleanser. 2. 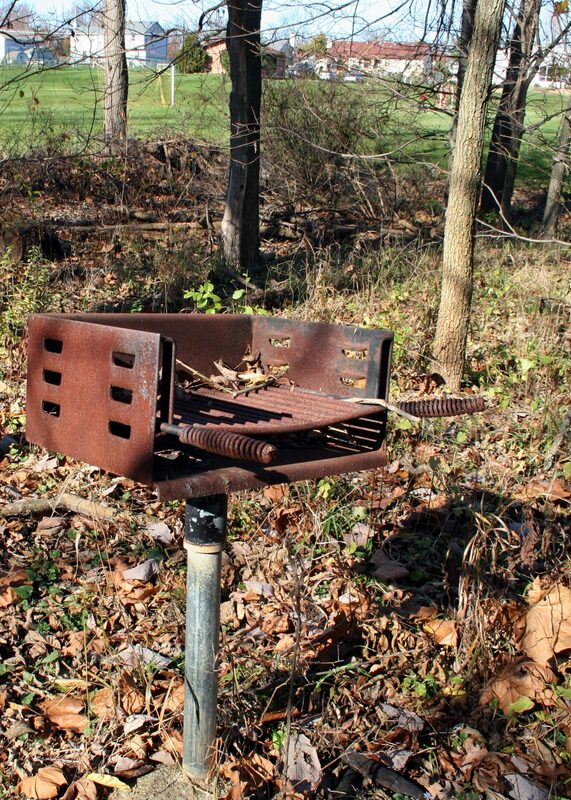 If you have rusty BBQ tools that need a good cleaning, you can also try soaking them for a few hours in a bucket filled with soda pop to let the carbonic and phosphoric acids dissolve the rust. 3. Did you get a little too crazy with the candles at your last outdoor dinner party? If so, you can remove hardened wax from your tablecloth or outdoor rug by placing a paper towel over the wax, and then applying a low-heat iron to warm up the candle wax enough for the paper towel to absorb it. For the best results, first use a butter knife to scrape off as much wax as possible. 4. 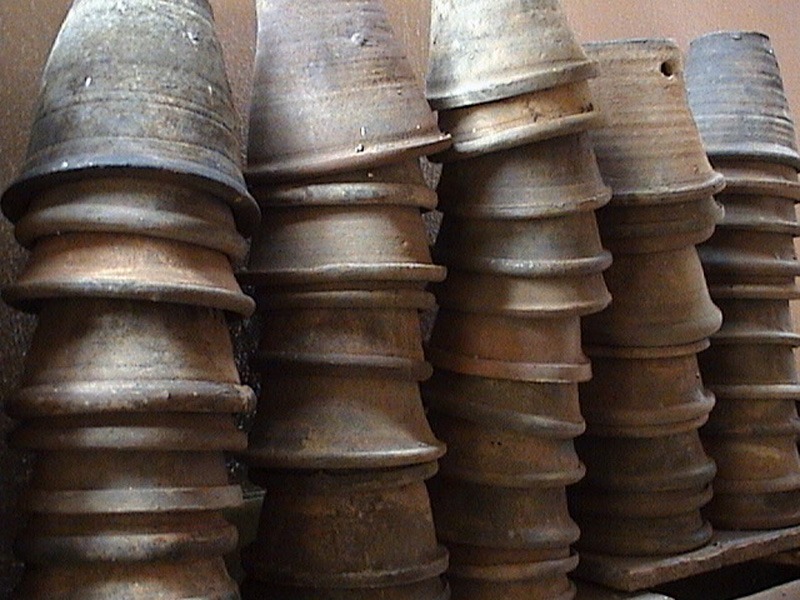 If you have clay pots that have seen better days and are covered with mineral residues from years of use, you can clean them up by giving them a vinegar bath. Simply use a scrub brush to remove loose debris, and then submerge them in a mixture that is about 25% distilled white vinegar and 75% water. Let them soak for 30 to 45 minutes, and check the results. You should be able to brush or wipe off the rest of the residue. If not, you can soak them a bit longer. After their vinegar bath, you will need to soak them in water for about 30 minutes to help get rid of the vinegar that will be hanging out in the porous surface, and then give them one last scrub down with soapy water. Let them dry, and you are ready to plant your new container garden. 5. To help avoid streaky windows, wait for a cloudy day or wash them after the sun goes down. 6. If you are working towards limiting chemicals in your home or yard, make your own window-washing solution by mixing distilled white vinegar and water in a spray bottle. If you have previously used commercial products, you will need to add a few drops of dish soap to your vinegar-water mix the first time you use it in order to remove the waxy buildup left behind by conventional glass cleaners. 7. While you have the distilled white vinegar out of the pantry, you may also want to pour some on any pesky weeds around your yard. Just keep in mind that this all-natural weed killer should not be used in areas where you plan to plant desirable plants sometime in the near future. 8. 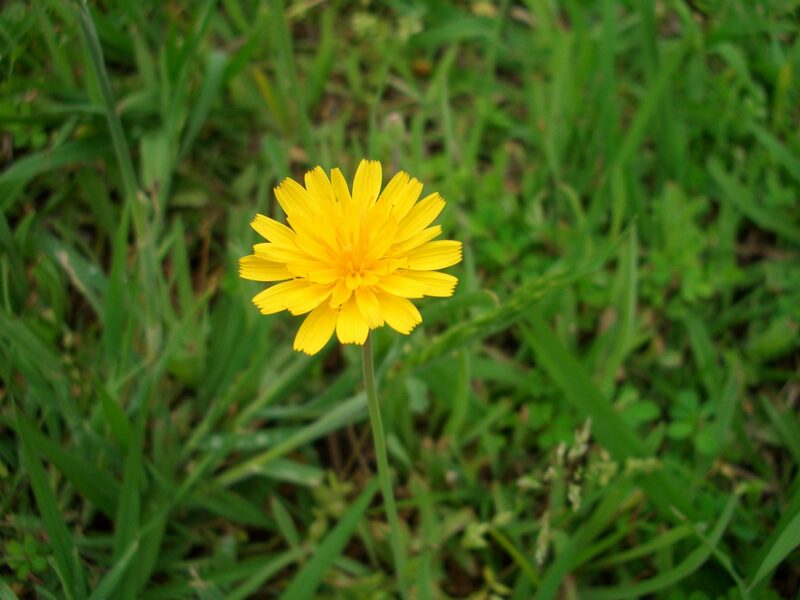 You can also pour boiling water on weeds to kill them without harming the soil. 9. If you have an area where you want to kill all of the vegetation and have no plans for planting the area in the future – such as cracks in a concrete driveway or the narrow spaces between the paving stones on your patio – you can sprinkle salt in the cracks to do the trick. 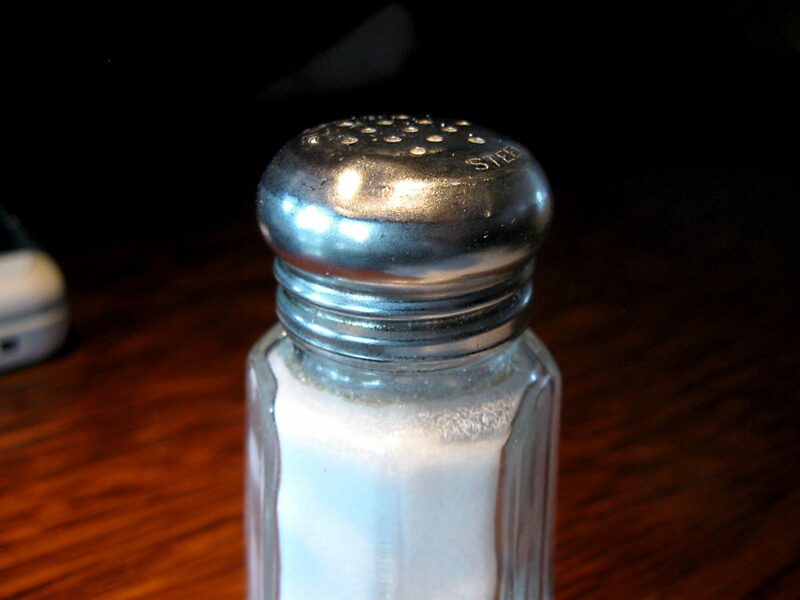 Keep in mind that salt can accumulate in soil and cause problems for desirable plants, so if you have a flowerbed next to your patio, be careful not to wash the salt into the soil when rinsing off your patio. 10. Once you have killed the weeds in an area where you plan on using decorative gravel, bark or another non-living groundcover, save money by using cheap trash bags from the dollar store as a weed barrier (instead of more expensive weed fabric or plastic sheeting). 11. Speaking of gravel – you can save money on patio installation but still get the beautiful look of pavers by creating a paving stone border and filling it with less-expensive gravel. Since a border made of pavers is easy to take apart and put back together, you can always replace your gravel patio with a full paver patio when your budget allows it in the future. 12. If you want to create a defined outdoor living space with protection from the sun but cannot quite afford to install a covered patio, opt for a pre-fabricated or do-it-yourself pergola that will provide shade, define the space and be easier on your pocketbook. 13. If your budget is a bit too tight for a pergola, you can also define an outdoor entertaining area or living space with an outdoor rug and by placing your patio furniture to create the illusion of an outdoor room. 14. If you want to get a great deal on a lawn mower or barbecue grill, try to make it through summer and wait for the sales that happen in September and October (the two best months for deals on these items). 15. When working on do-it-yourself backyard improvement projects, save yourself a trip to the emergency room by using a clothespin or bobby pin to hold each nail as you hammer it in. 16. Check out these 10 easy-to-make seed starting pots ideas to learn how to make these little pots from household items, and never spend money on seed starter pots again. 17. Do you have wood patio furniture that is getting a little too scratched up? Try rubbing a shelled walnut on the damaged areas. 18. If you happen to get a splinter while rubbing the walnut on your wood furniture, you can remove the splinter by making a paste of baking soda and water, applying it to the area and being patient while the mixture causes your skin to swell enough to push the splinter out. 19. Why spend money on a watering can when you can simply poke a few holes in the lid of a used, plastic milk or orange juice jug? This way, you save money and keep one more item from ending up in the landfill or requiring electricity and water to be recycled. 20. Does suction make it more difficult than necessary to remove the trash bags from your garbage cans after a dinner party? If so, drill a couple of small holes at the bottom of your garbage bins to avoid suction when putting in or taking out trash bags. 21. If you like to entertain outdoors often, save money and reduce your environmental impact by serving tap water with sliced cucumber, lemons or limes instead of bottled water. Your guests won’t know the difference, and you can save money and reduce waste. 22. If you plan on serving something a bit stronger than water, save money by forgoing a full bar or multiple bottles of wine from a recognizable vineyard. Instead, go with something festive that can be made in bulk, such as sangria, which can be made with cheap wine, orange juice and sliced fruit. 23. Keep ants away from your party by placing mint tea bags, cucumber peels or bay leaves around the perimeter of your outdoor entertaining areas. 24. Avoid your water features becoming a harvesting ground for mosquitoes by adding one teaspoon of liquid dish soap per gallon of water. 25. To help avoid a flea infestation, add a little brewer’s yeast or apple cider vinegar to your dogs’ food each time you feed them. 26. 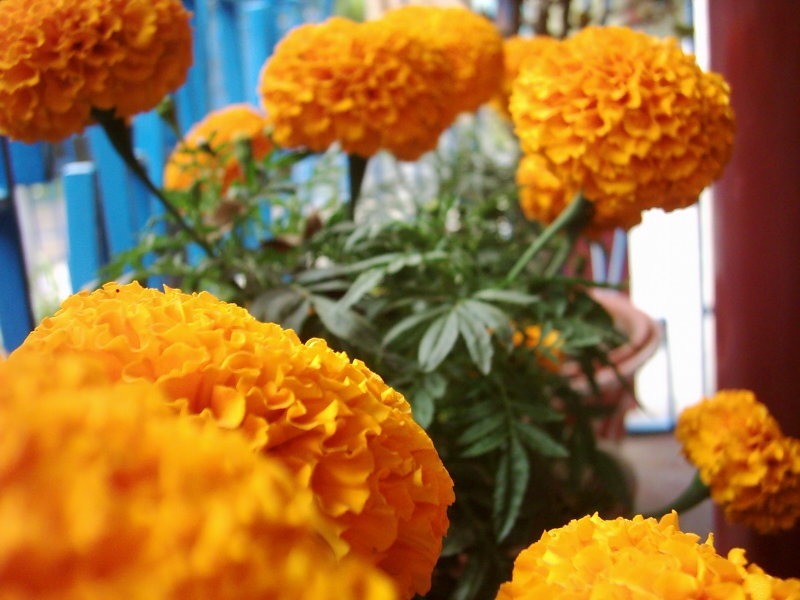 Plant marigolds around the perimeter of your yard or garden to ward off all sorts of unwanted pests, and plant them among your fruits and veggies to repel nematodes that would otherwise nibble on the roots. 27. If you cannot handle the pungent smell of marigolds near your outdoor living spaces, rosemary and sage are other pest-repellent plant options for chemical-free pest control. 28. If you prefer sweeter-tasting tomatoes, sprinkle a bit of baking soda around the base of your tomato plants as they grow to reduce acidity. 29. You can also use baking soda to remove some oil stains from a concrete slab or concrete paver patio, driveway or garage floor. Sprinkle on plenty of baking soda, and let it absorb the oil. Once dry, you can sweep it up, or scrub tougher stains with a scrub brush and a bit of water. 30. Even older oil stains can often be removed with clay-based cat litter. Scrub the area with soapy water, generously spread cat litter on and around the stain, and leave it for two to five days (depending on the age of the oil stain). For particularly stubborn stains, you can repeat this procedure every few days by removing the cat litter, scrubbing the stain with soapy water and pouring on more cat litter. 31. Save money and keep your outdoor kitchen sparkling clean by cleaning your metal fixtures and faucets with eco-friendly vinegar. 32. While too much contact with vinegar can harm some desirable plants, adding about one-half of a cup of vinegar to a gallon of water when watering azaleas or rhododendrons is actually good for them and can produce prettier flowers. 33. You can also use a simple water-vinegar mixture in a spray bottle to clean pool toys, plastic patio furniture, glass patio tables and windows, and gardening tools. 34. While you have the vinegar out, you might also want to use it to wipe down tables and chairs in outdoor entertaining areas before your next party. This will help keep flies away from your guests. 35. If your yard tends to get a lot of flies, you may have to up the ante by hanging or laying out cloths with a few drops of eucalyptus oil to keep these pests away from the party. Which tips and tricks do you use to save time and money on yard care and outdoor entertaining? Share your best tips with us in the comments below!